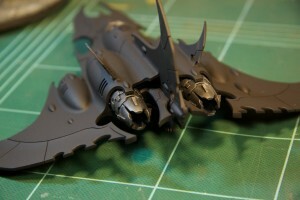 Hobby time has been a bit elusive, but I have been working on this Razorwing. 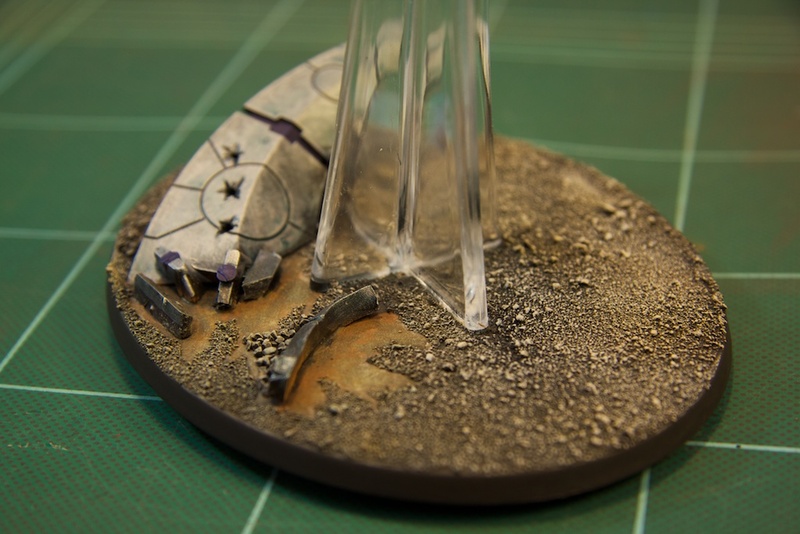 The base is all done. 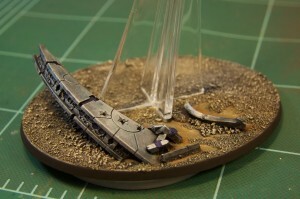 It’s continuing with my dead Necron theme, with a piece of wing from a Night Scythe. I’m trying to evoke the wreckage scraping off the frozen surface of the ground when it slid to a halt. I like the color of the exposed dirt (a combination of paint and weathering powders), though I wish it had a bit more texture. 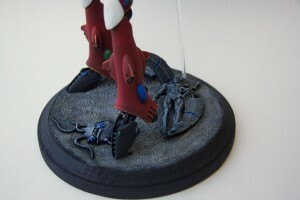 As it is, it’s just the surface of the plastic base. I didn’t have anything finer than the sand I used for the rest of the base. The sprue bits are supposed to represent random bits of wreckage, but they look more like sprue than I would have liked. I’m very proud of the bullet holes. It’s the first time I’ve tried it. I just drilled a hole with a pin vice, expanded it a bit with a hobby knife, then cut out little wedges. As I usually do for these kinds of models, I painted inner bits first. That means the pilot, cockpit, and engine were done before I glued the main fuselage together. I masked off the canopy with Tamiya masking tape, and this part of the engines with blobs of wet tissue paper. 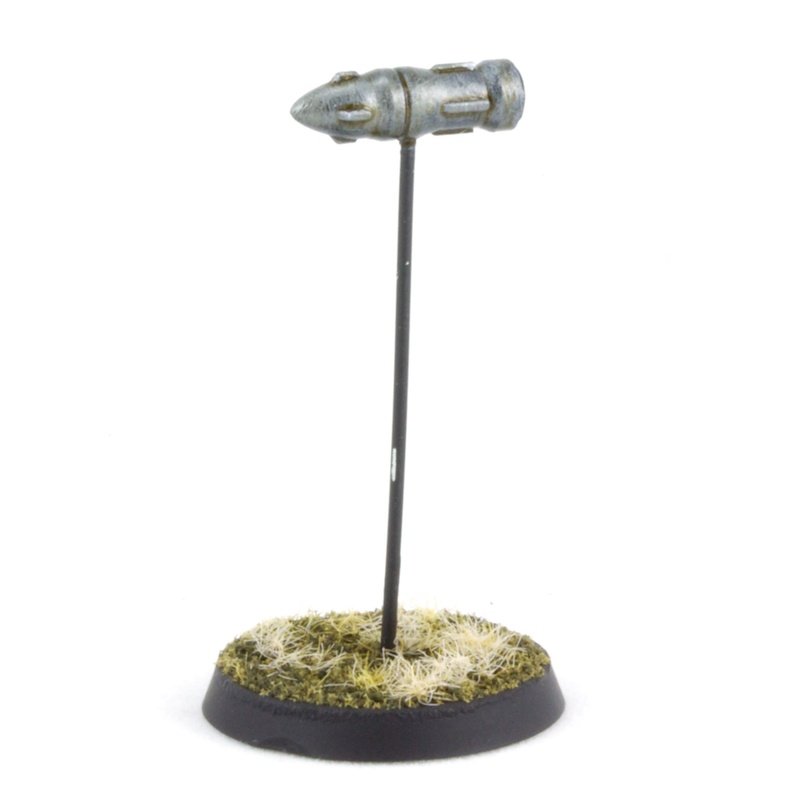 The gun mounts are the same, and are magnetized so I can swap weapon types. 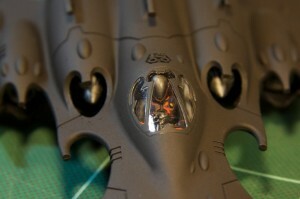 The rear engines were also done before assembly, then carefully masked off with Tamiya tape. This probably wasn’t actually worth doing for this model. I thought there was a bit more space between the engine nozzles and the overhangs on the fuselage. You can’t tell that it’s painted underneath. Hopefully I can wrap this up over the next week, and can then turn my attention to the Reaper I bought with the Revenant Titan many months ago. At the end of 2013, I participated in a narrative campaign (Relic War / Warzone Harat) put on by the G3 Santa Cruz group. It was a three-part event hosted by Endgame. 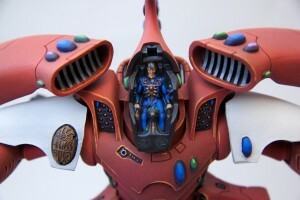 I took my Dark Eldar with Eldar allies. For the finale, they ran an “Apoc-lite” event – basically a high-point game with super heavies, but sticking to the force org chart otherwise. This was announced at the end of the second day, in November. 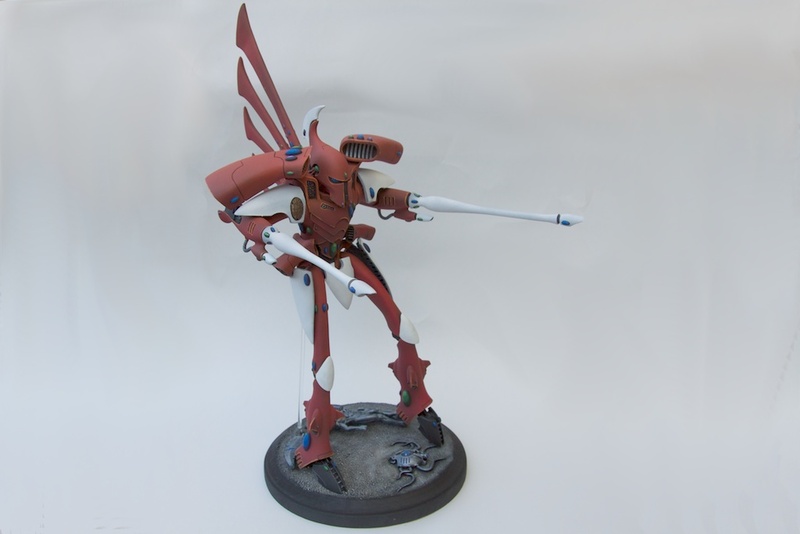 I decided to use this as an excuse to get an Eldar Revenant Titan. With the third game in January, I had about 8 weeks to select, order, assemble, and paint the model. I made the deadline, but it was a bit intense. I had originally intended to magnetize the fins on the back, to make it easier to transport. It ended up wobbly, though, so I glued it down. The gun barrels are successfully magnetized, so I can (in theory) get sonic lances if I wanted to swap it out. It also makes it easier to transport. I didn’t like the hinge mechanism on the hood, so I just snipped it off and put on a couple of magnets (notice a trend?). I knew that the kit came with two hood options. I was surprised to find that it also came with a second lower head piece. I may someday use that for a terrain piece or something. The rod is to hold the whole thing together. This is a pretty top-heavy model, and even though I pinned all the major joints, there was still a lot of play. A little acrylic rod fixed it up, although it still makes me nervous every time I move the model. I have a loose idea of the Dark Eldar/Eldar force being opposed to some Necron force, and using dead Necron bits on the bases. This model is the most elaborate one by far (although it’s still pretty simple). I decided that the Revenant just blew up a Tesseract Vault, then jump jetted on top of it to select the next target. I bought a couple of bits from the Vault kit off Ebay. The C’tan bit was stupidly expensive (well, it is a standalone unit in Apoc..), so I instead used a Dr. Manhattan HeroClix miniature. I tried putting the model in boiling water to repose it, but the damn arm wouldn’t stay down. I ended up cutting it off and putting in some tentacles. I also made tentacles, using Green Stuff Industries’ Tentacle Maker (though mine are the v1 opaque ones), for the Canoptek thing. This let me shape them however I wanted before the putty cured. Overall I’m very happy with how the model turned out. I wish the airbrushing was a little more consistent, and that it stood upright on it’s own. It does look nice in the cabinet, but I should find more opportunities to play with it. 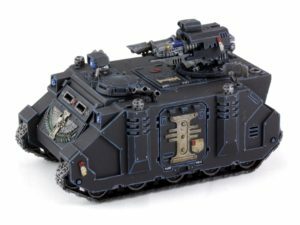 As part of the ongoing Inquisition War campaign at Endgame, I needed some rides for my Inquisitorial retinue and Deathwatch Kill Team. I decided on a Razorback for the retinue. I wanted to use something that could double as a vehicle for the Deathwatch when the campaign is done, which eliminated the various IG options. Plus, psybolt ammo. I used the Forge World Rhino doors and brass etch set, plus embellished with a few bits from the bits box to really pimp it out. The whole think was primed black, then airbrushed from the top with a dark gray. This gives a slight gradient, and makes the tank look a little less flat. 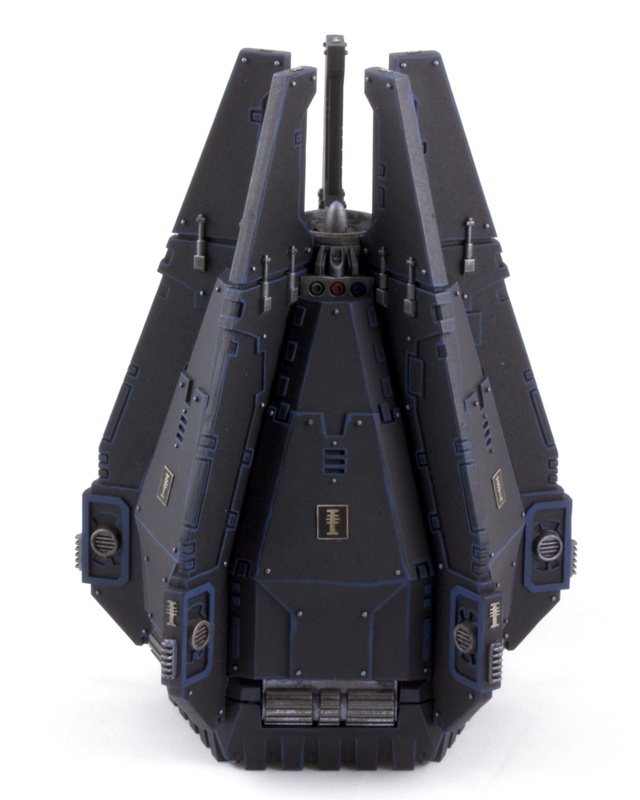 The Deathwatch generally ride to battle in a Drop Pod. This is, of course, awesome, although they often don’t survive to see turn two. I should probably adjust my tactics. 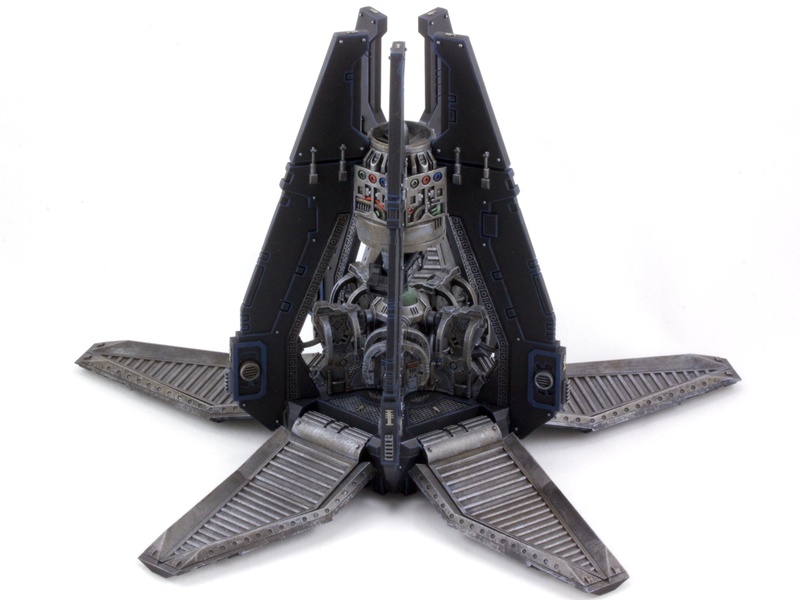 The Drop Pod got the same gray airbrush treatment as the Razorback. I wanted to make this thing look Deathwatchy. Since the thing is five-way symmetric, it took most of the small brass etch insignia to get it done. Five each on the door, above the vent thing on the sides, on the top, and on the floor in front of each pair of harnesses. 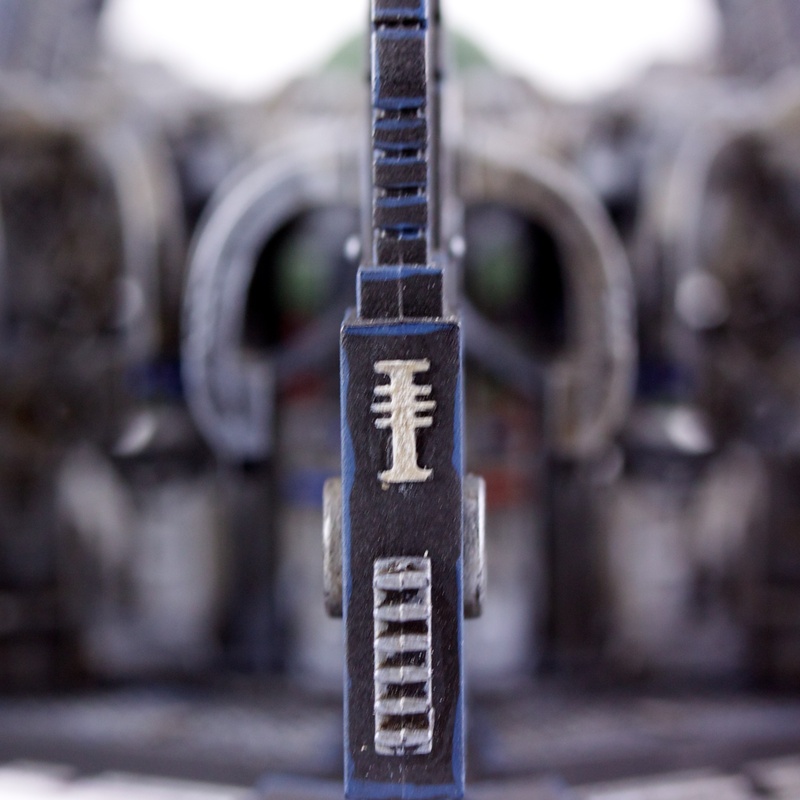 Again, the weapon is magnetized, and both storm bolter and missile launcher are painted up. Updated July 2018 with improved images. On Thursdays, I like to take a break from my army projects. Instead, I try to do something that I can start and complete all in one evening. A really quick one this week. I finished the Hunter/Stalker kit a while ago. I decided to take it in the Hunter variety in my next game. This tank, if it misses, gets another chance the next turn. That means you need a marker of some kind. 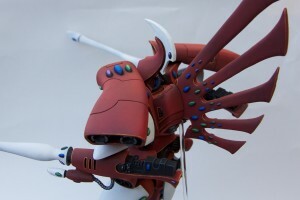 The kit came with a missile to stick in the gun barrel, which I decided to save for something like this project. 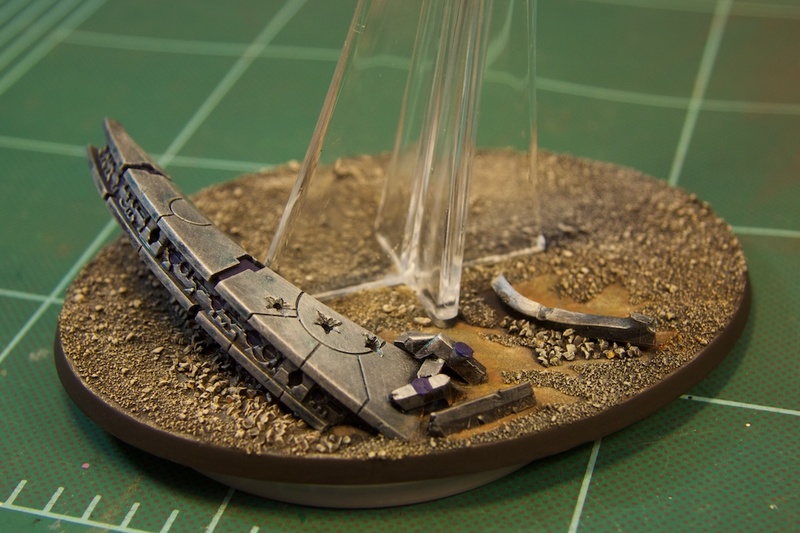 A quick snip of a paperclip, some primer, drybrush, and it’s done. 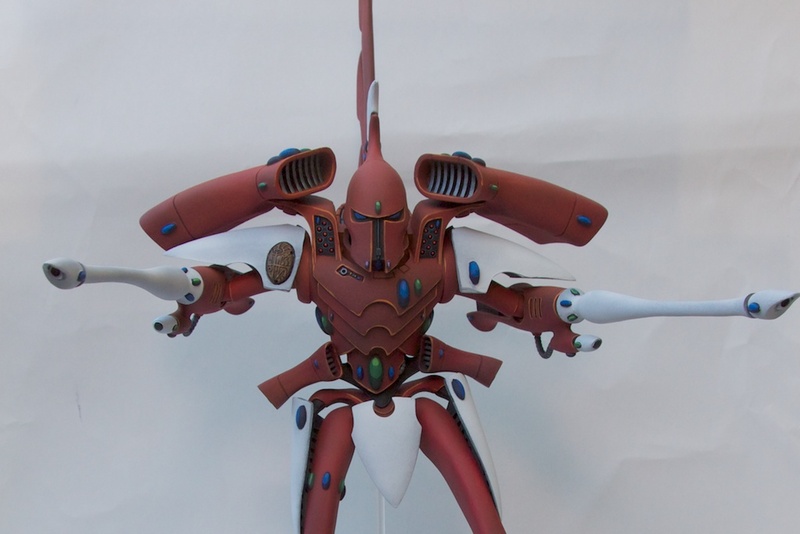 About the only clever bit to this model is, naturally, not pictured. I put a blob of green stuff on the underside to give the wire something to bite into. Previously I’ve only pinned stuff to more solid resin bases, which doesn’t have that problem. The back really cries out for something from the Armorcast Cinematic Effects line, but I need this for a game now. I hope to go back and give this model a more dynamic smoke trail/rocket flame/whatever. Updated September 2018 with improved images.